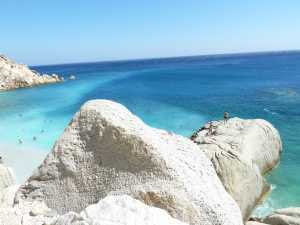 Ikaria, named after Icarus of Greek mythology, located ten miles southwest of Samos in the Aegean Sea. It is one of those unique, purely natural, unspoiled and unforgettable parts of the world famous for the long life of its habitats. This pristine enclave of nature, culture and history is included in the world’s Blue Zone. An area where people live longer, healthier lives. One trip to the island and you will understand why it is a mecca for naturalists. The topography of this Blue Zone island is a contrast between verdant slopes and barren, steep rocks. The island is predominantly mountainous, with lush green villages nestled on the plains along the coast. 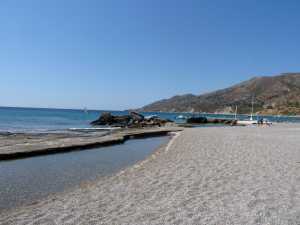 The most popular, sandy beaches are found on the north side of Ikaria Greece. 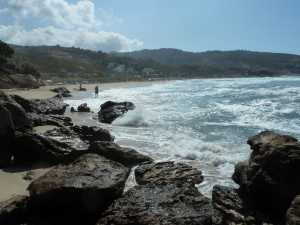 The beaches on the south side of the island tend to be less crowded, but consist of sand, rocks and pebbles along the shoreline. 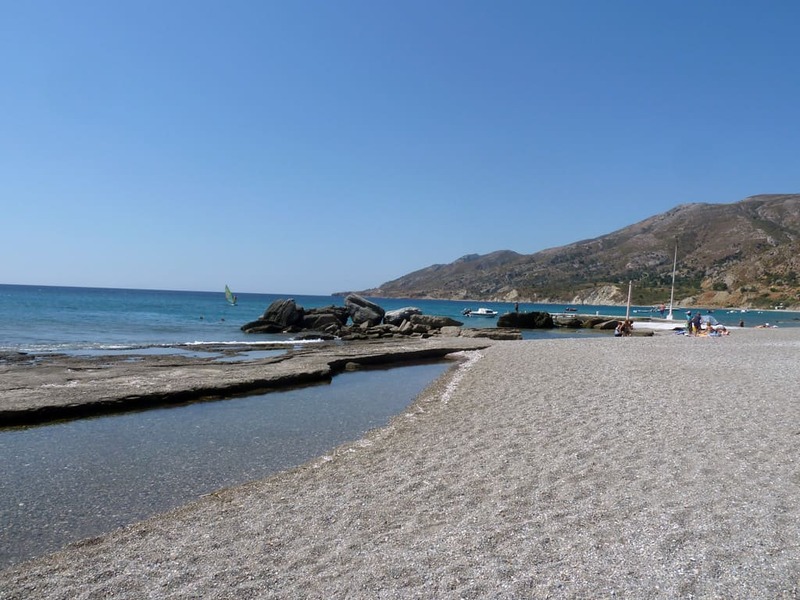 The beaches of Ikaria are varied, from remote sandy beaches where only pure nature is to be found, to cosmopolitan resort beaches in the few larger towns. The clarity and brilliance of the water is unparalleled, with the Ikarian Sea being one of the cleanest in the world. The Castle of Koskina sits atop a mountain peak overlooking the village of Koskina. 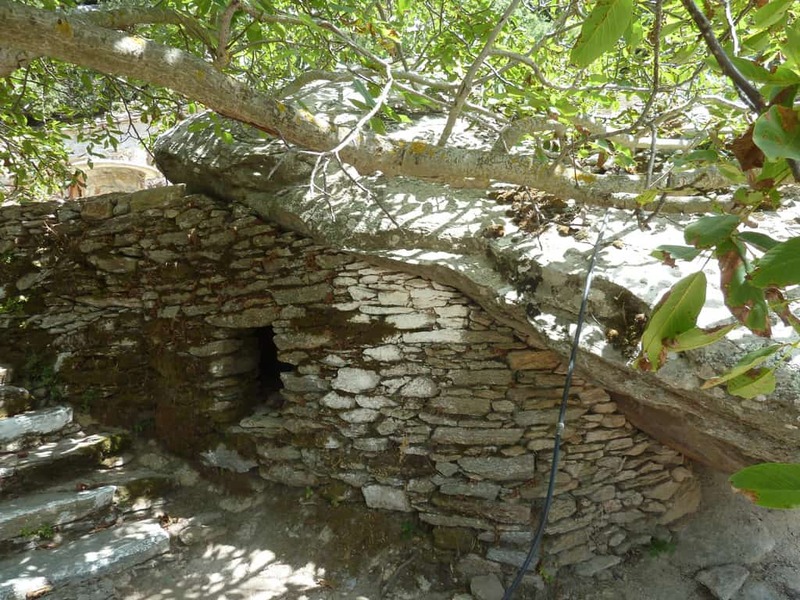 Built in the 10th century A.D.,this Byzantine Castle fortress is an idyllic representation of the deep historical ties that Ikaria has to the region. The castle was built to protect the island against pirates and enemies. 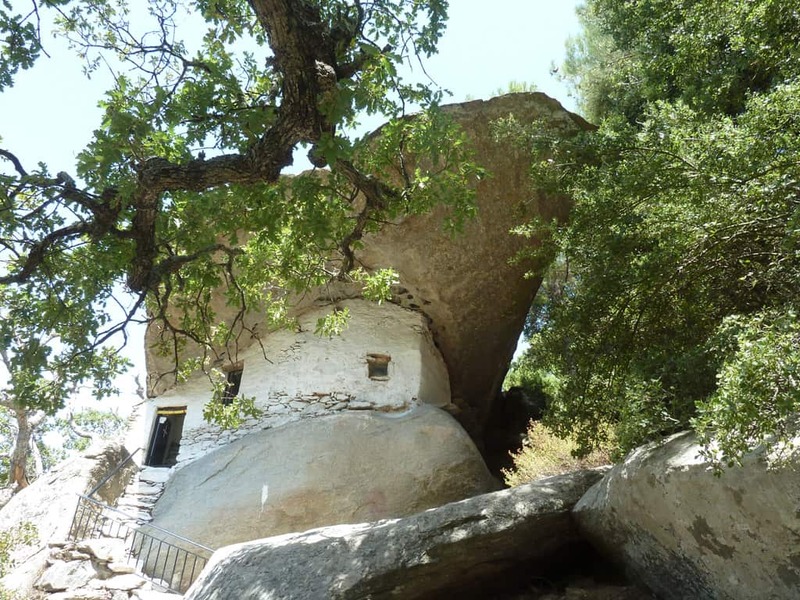 It is strategically positioned at the top of a steep mountain. Drakano Fortress is another representation of the importance of the island. An Athenian watch tower built during the Hellenic period, dating back to the 4th Century during the reign of Alexander the Great. The forty-four foot high limestone tower served as an observation point, overlooking the traffic in the Aegean Sea between Ikaria and Samos. It was part of a garrison and city that was known for its particularly strong wine. 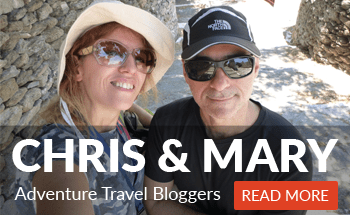 Hiking is a big part of island life on Ikaria, and the many trails that crisscross the island are of special interest to nature lovers and hikers alike. The paths, known locally as monopatia, harken back to older times. They make up a transportation web that connected the far flung villages, farm land and commercial centers of the island. Still in use today, these passageways connect the island’s commercial activity in the mountains to the ports along the sea coast. The ‘Round of the Rahes On Foot’ embodies the importance of the “monopatia” (means: hiking routes). 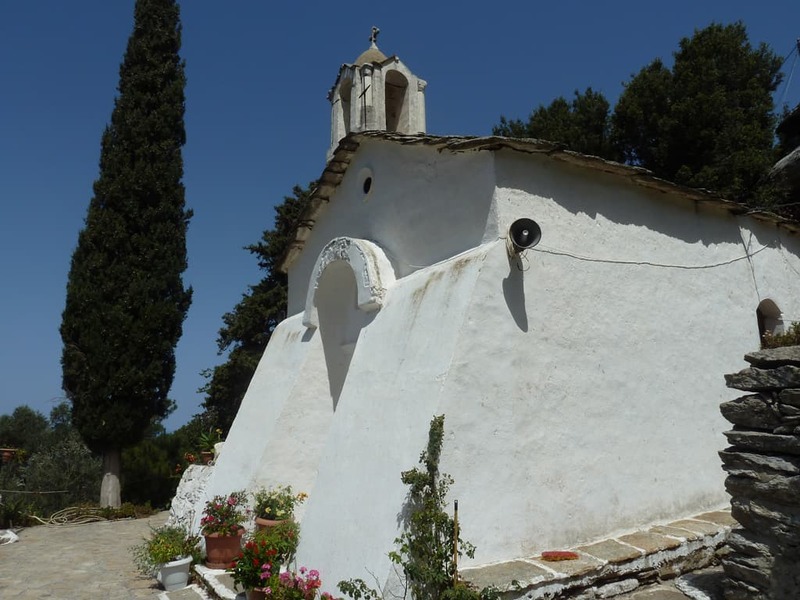 This self-guided tour starts in the village region of Christos-Raches. Forming a circle, the trail is 25 kilometers long, crossing all types of terrain, beginning at sea level to rise to an elevation of 500 feet. 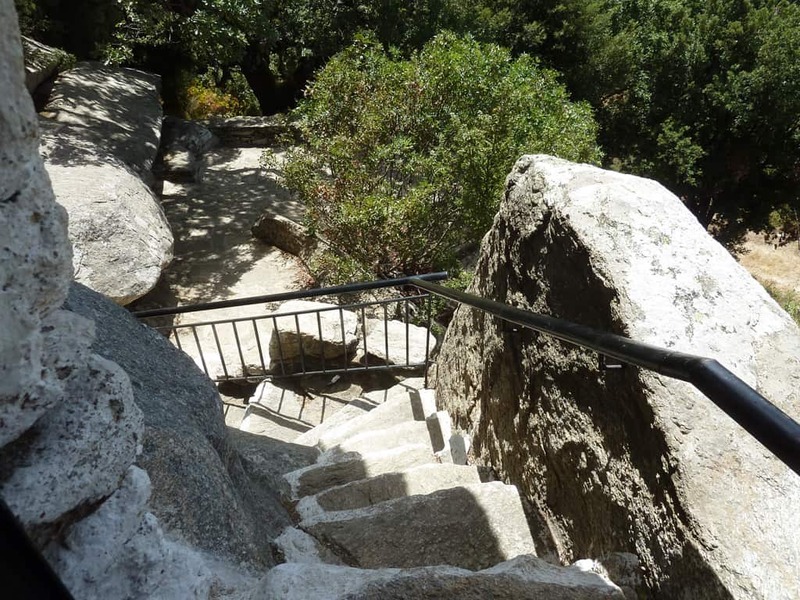 Hiking the trail will take you through brush, forest, farmland, stone paved mule tracks and dirt rounds. Experience every conceivable terrain, with breath taking vistas to be seen around each corner. 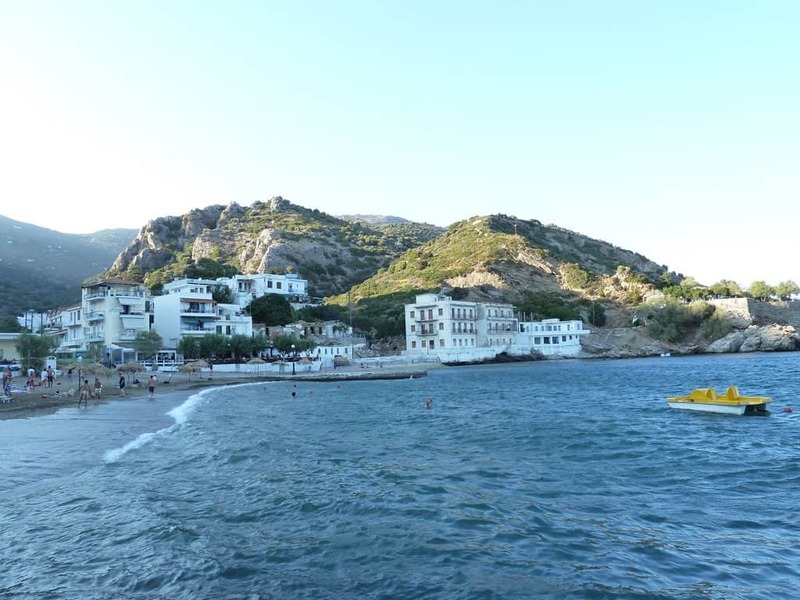 The Hot Springs of Ikaria are known to possess the world’s best healing qualities. That is not new. It dates back to 1st century B.C. The hot springs at Therma have been the center for hydro-therapy. Evidence of the springs are found among archaeological ruins such as the Roman baths at Therma. 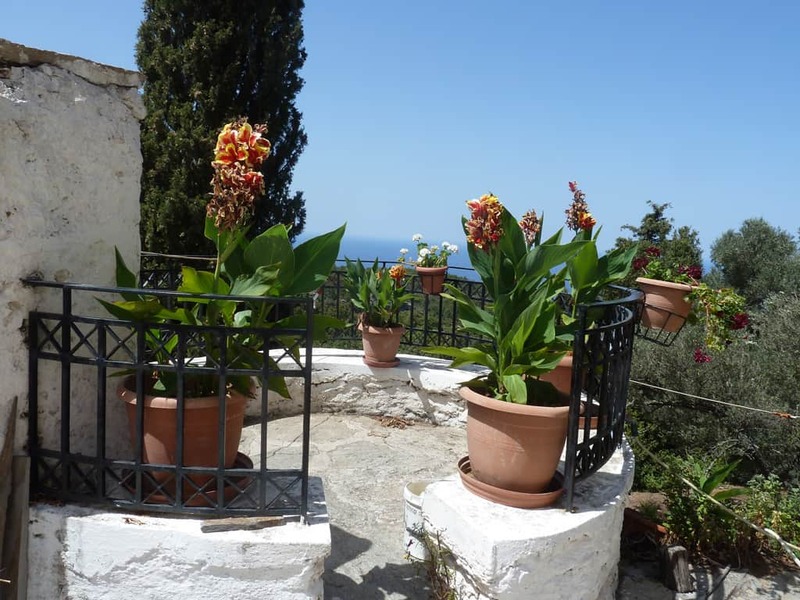 Even today Therma remains the center for hydro-therapy on the island, with numerous guest houses catering to the practice. Along the coast there are several spots where the hot mineral springs flow into the sea. You can bath and enjoy the medicinal benefits of the springs. Looking for adventures? There are several activities among which winery tours. The tours are available for those who want to sample the excellent, strong local wine. Mountain biking and Jeep Safari tours are a great way to explore the mountainous terrain. Several water activities are also available, ranging snorkeling, surfing, windsurfing in Faros area, and scuba diving on through to kayaking a sailing. 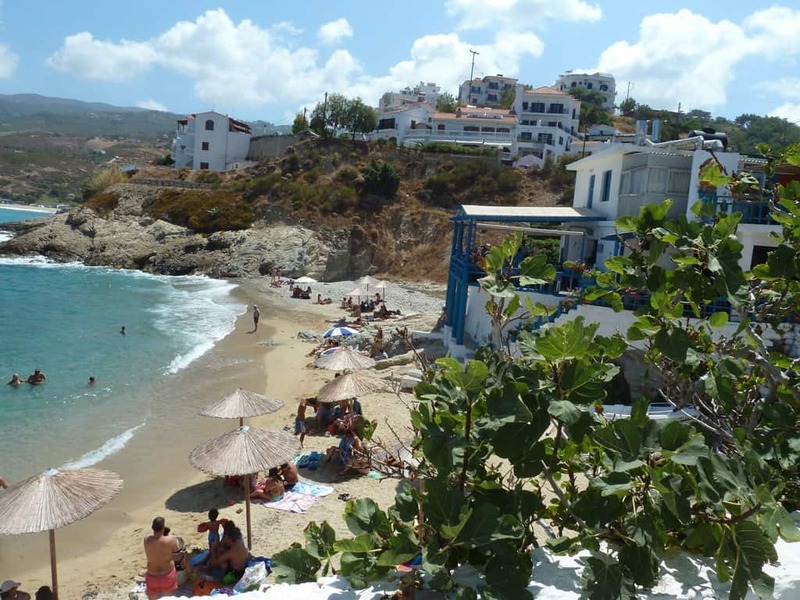 Sailing the Aegean is a good way to explore the several bays and beaches. There are many unreachable by any other means and you can watch the indigenous sea mammals on the way. 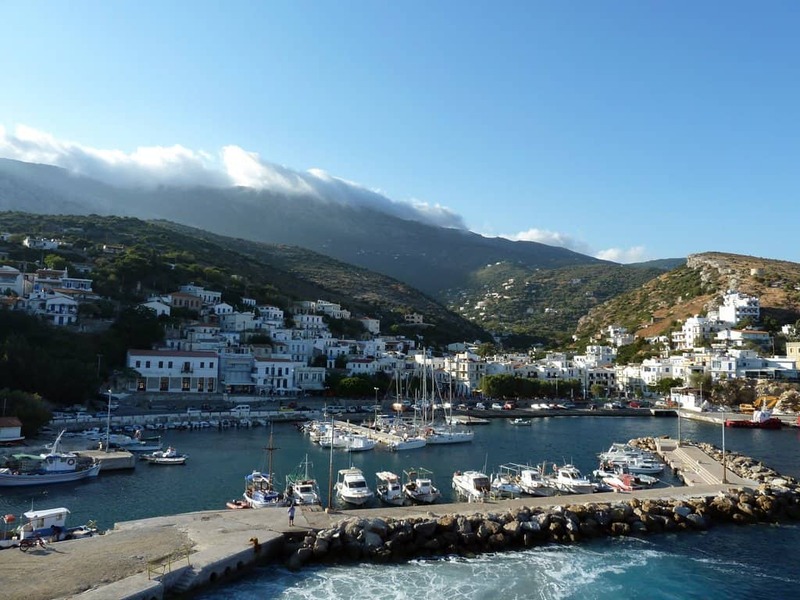 It is a quick sea voyage to visit the islands of Samos and Fournoi. 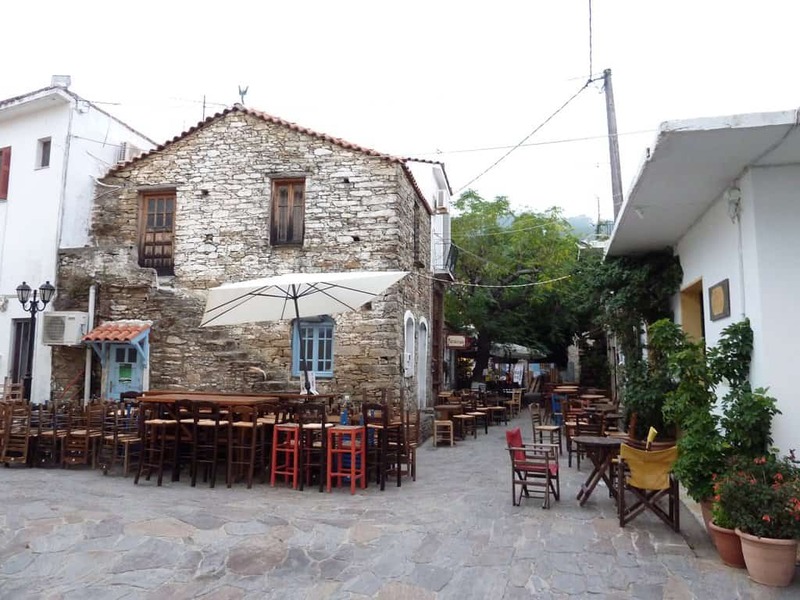 The islands of Patmos, and Lipsi are found just south of Ikaria, and are in the most beautiful part of the Aegean Sea. 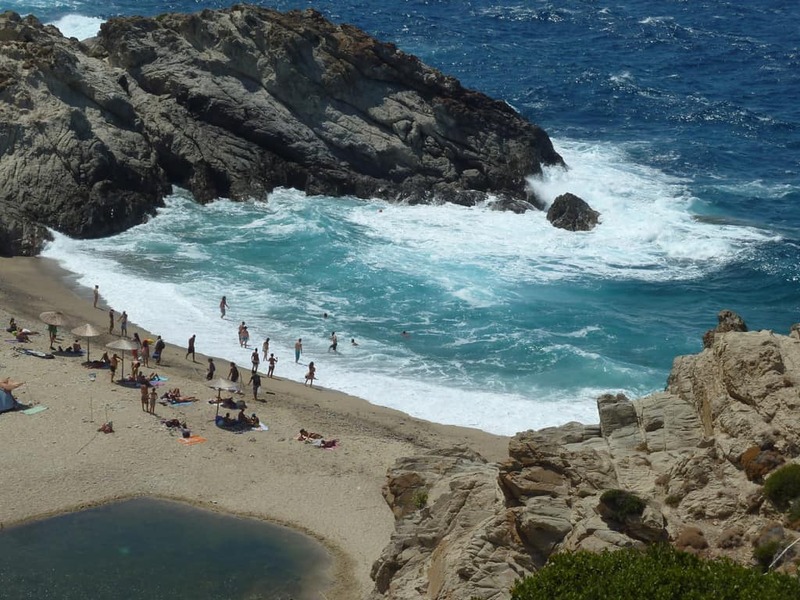 Ikaria was voted the best Greek Island for nature hikers and you will experience all these reasons. 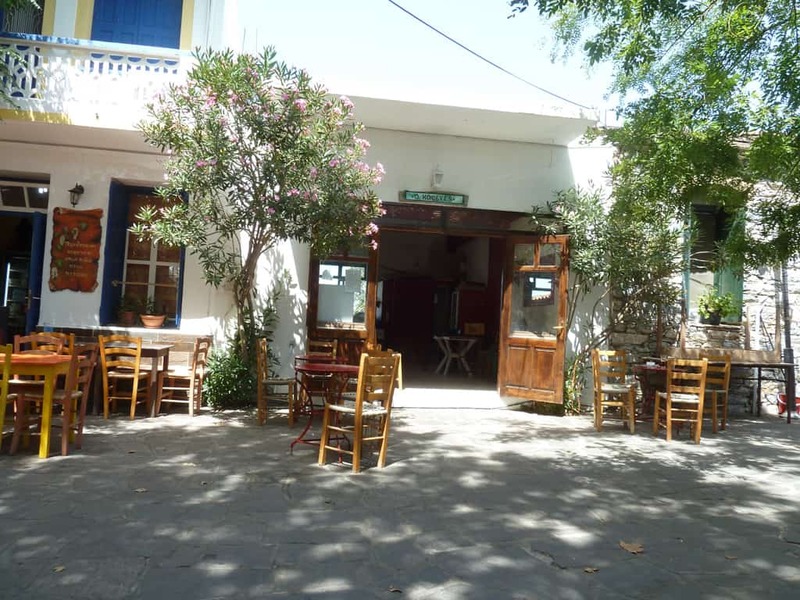 There is so much to experience in Ikaria Greece Blue Zone island. Find something for everyone on this 225 square kilometer island. There is no chance that many come back over and over again. There is a whole website presenting the locations that belong to the Blue Zones all over the world. These places relate to longevity, better life. In fact, there is a rich-media website dedicated to Blue Zones. It contains all the info and research, even recipes and more. The Blue zones project is not just a recording of these locations but an actual research on how and why people are happy in one place and how that relates to quality of life and longevity. It’s been around for years. Check this book from the creator of the Blue Zones.